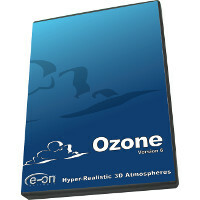 Ozone 6 implements the cutting-edge technologies developped by e-on software for the simulation and rendering of atmospheric effects. Its atmospheres provide an accurately simulated environment that affects all elements of your scenes and behaves according to nature’s rules. Ozone 6 is built on the same algorithms and integration technology as Vue xStream, but is limited to atmospheres and skies. Sun to adjust the position and size of the sun. Light to select and modify the lighting model you wish to use – standard or global ambience. Clouds to create layers of clouds and adjust their settings. Fog and Haze to adjust the density, distribution and color of the fog and haze. Sky, Fog and Haze (for Spectral Atmospheres) to set up parameters for fog and haze and to add such effects as volumetric sunlight and godrays. Ozone 6 lets you animate everything from clouds and sun to fog and haze. Take precise control of all animation properties by editing keyframes directly and then personalize in your timeline. Skies spring to life as your clouds swirl! Plant Customization for Vue Artists. Tweak Plants and Export as Standard 3D Meshes. 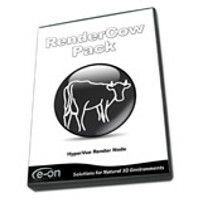 Designed for CG artists using any 3D application (such as 3DS Max, Maya, Cinema 4D, Softimage, LightWave, Modo, etc). This very simple version of Plant Factory lets you browse the vast library of Plant Factory assets, purchase exactly the plant species you need, generate variations of these plants with the click of a button, adjust global settings such as forces applied to the plant and export them as static 3D meshes for use in other 3D applications. Static Plant Creation for CG Professionals. Created for CG Professionals, Plant Factory Designer lets you hand-draw your plants, assemble pre-made components, build plants from scratch or simply purchase the exact species you need. Produce high-quality 3D plants with unprecedented ease-of-use and add them directly to your Vue Scenes and Vue EcoSystems or export them as static 3D meshes for use in other applications. Fully Custom Plant Authoring and Production. 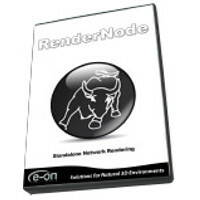 Author fully custom intricate 3D plant models in concert with your production workflow. Hand-draw your plants, assemble pre-made components or build plants from scratch using the node graph. With expanded collaboration and com­position capabilities, advanced artistic control, and unbelievable productivity, Plant Factory Producer is the perfect vegetation solution for special effects and production studios. Custom Plant Creation for CG professionals. Designed for CG professionals and small studios, this feature-rich version of Plant Factory creates richly detailed custom plants. Hand-draw your plants, assemble pre-made components or build plants from scratch using the node graph. Produce high-quality 3D plants with un­precedented ease-of-use and export them as fully animated meshes to any other 3D application - including Vue EcoSystems. Designed for expert 3D artists and graphics studios, Vue Complete 2014 provides a complete solution for natural 3D scenery. 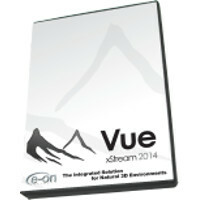 While maintaining unequaled user friendliness, Vue Complete 2014 combines into a single package a multitude of cutting-edge features that let you easily create and control rich EcoSystems of wind-swept trees and plants, hyper-realistic spectral atmospheres and detailed terrains in fully animated scenes. You can have Vue installed on all the computers of your network, while only a subset of these computers will actually run it at any given time. Each license can be used on multiple seats (but only one at a time): the License Server is responsible for issuing temporary licenses as they are requested. When a Vue license is installed on the License Server, it is not linked to the computer using it, but to the License Server computer itself. 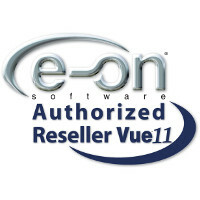 This is the best option for studios that use several computers in a network, because registration and license management will be centralized using the e-on License Server application. With Vue "work" licenses*, there is no distinction between a nodelocked and a floating license. A license automatically becomes floating when it is installed on a License Server. You cannot install the same license on a specific computer (nodelocked license) as well as on a License Server (floating license). Use of the License Server is contingent upon the payment of a yearly fee. If you no longer wish to use the License Server, your Vue licenses can still be used as nodelocked licenses. 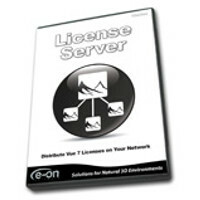 The E-on License Sever can also be run as a service, avoiding the need of logging onto a user account to launch it. Use a 3rd party network rendering application to manage and distribute the rendering of Vue scene files* (.vue only) over a network of Linux based computers. Complete toolset for creating and rendering exceptionally rich and realistic natural environments in 3ds Max, Maya, LightWave, Cinema 4D and Softimage. 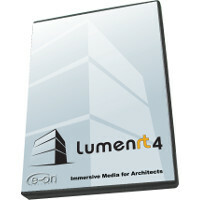 Access all the power of the world's leading 3D Digital Nature solution directly from within your favorite application. Create and edit beautifully detailed natural environments using your application's standard manipulators.